When a freelance writer works with various clients and on a multitude of projects, sometimes who can claim copyright for the finished product is a difficult question to answer. This article covers the most common freelance projects and how standard U.S. copyright laws are applied. For a novelist, screenwriter or blogger, copyright is fairly straightforward. The author of any work is the one who can claim copyright for that work, regardless whether or not there's a statement of copyright attached to the writing. Thanks to the Digital Millennium Act, this applies to online content as well as the printed word. However, when the creator of the content isn't the one distributing the work, copyright considerations can get a little complicated. When you provide offline and online publishers with permission to print your writing, it's important to understand the various forms of printing "rights" that you can offer, and why some printing rights are more valuable than others. First rights - Whether you're writing for a print magazine, newspaper or an online publication, the most common transfer or rights that you'll sell is called the First North American Serial Rights (FNASR). However, in the case of Internet publishing, this is more commonly just called "First Rights." What "First Rights" means is that the publication or website purchases exclusive rights to publish your writing. The transfer or rights is called "first" because you're exclusively providing the publisher with rights be the first publisher to print your work. This is why publishers typically pay more for exclusive rights. However, keep in mind that the publisher still cannot reprint your work somewhere else or resell printing rights. The author can still claim copyright. Use Rights - You can sell various publications one-time "use" rights which provides the publication with permission to print your work one time. This is known as a non-exclusive right because you can sell these rights to multiple publishers. For this reason, one-time use rights are usually valued much lower than exclusive "first rights." Reprint Rights - When you sell reprint rights to any publication, it's because you've already sold "first rights" to the first publisher to print your work. When your material is reprinted, you sell "reprint rights" to the subsequent publishers, but the publisher that purchased "first rights" is usually credited in the reprint. It is very rare for an author to relinquish full copyright ownership of their writing, but if the price is right some authors choose to do so. Before you opt to sell all rights for your work, it's important to understand what this means. When you sell even exclusive rights to a publisher, you retain ownership of the copyright and you can later sell reprint rights, or revise and rewrite the work. The moment you sell all rights to your material, you lose all of those rights. You cannot resell the material to any other publisher at any time. Once the publisher purchases full copyright, they can resell, reprint and even rewrite the material however they wish. As a freelance writer, some of the common online clients you may write for could include blogs or websites. The electronic publishing industry is very much a parallel of the print publishing industry in that the rights described above are also typically purchased by websites or blogs as well. Many article directories will purchase exclusive rights at higher rates than use rights, but these payments are substantially lower than you'd receive if you sold the rights to a print publisher. On the other hand, many of these websites also offer royalties to authors as well, in the form of ad revenue. On the other hand, if you're hired to write exclusively for a website or blog, they will most commonly pay you for exclusive "first print" rights. Usually, the agreement you'll have with these clients is that you won't reprint the article anywhere else on the Internet without crediting the original publisher and linking to the original article. One of the newest forms of freelance writing on the Internet is ghostwriting. This term is also known as "writing for hire." This method of selling writing is very different than all of those listed above because not only do writers sell "all rights" to the work, but in the case of ghostwriting they even give up authorship. Usually a client will request a particular article, website content or even a series of blog entries that follow a particular theme or topic. The agreement between the client and writer is that the client purchases "all rights," and can even attach their own name as the author of the material. While many writers frown upon this, and others in the publishing industry inappropriately compare it to plagiarism, the financial rewards for ghostwriting are often so high that many writers don't mind giving up copyright ownership. Ultimately, ghostwriting is not plagiarism because the original author agrees to transfer both copyright and authorship. The ethics of engaging in this activity is still a major source of debate in the publishing industry. 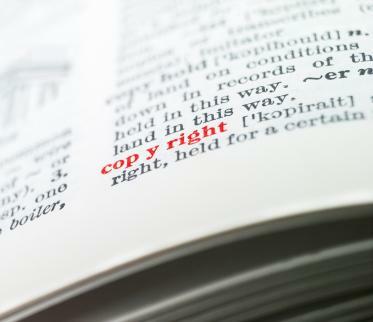 Regardless of which form of rights you decide to sell to the publisher of your work, it's important that, as an author, you apply the appropriate value to your copyright ownership. Many authors don't realize the true value of their intellectual property until they've given up all rights and lose all future revenue that their writing generates. Develop a thorough understanding of who can claim copyright before you decide to transfer any printing rights for your creative work.